Out with the pink, in with the gold! This is a beautiful bronze based blush. It is definetly a crowd pleaser. This universal color works very well many different skin tones and types. Its golden undertones will make you look awesome! I have tried every type of foundation imaginable. From Liquids to pressed powders all have caused my sensitive skin to break out. Being in my mid twenties blemishes are embarrassing. When I found the Mineral Hygienics product I was skeptical, but instantly fell in love with the product. 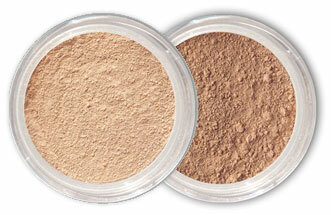 The light weight coverage hides any discolorization and redness while providing a natural look. Since I have used the product my skin has gotten healthier and I have had no blemish issues. Highly Recommend all Mineral Hygienics products!